Angle free tilt function: The self-locking mechanical construction provides effortless adjustment of viewing angles with tightening the knob. Safety lock: Built-in safety lock keeps your flat panel TV safe and stable. 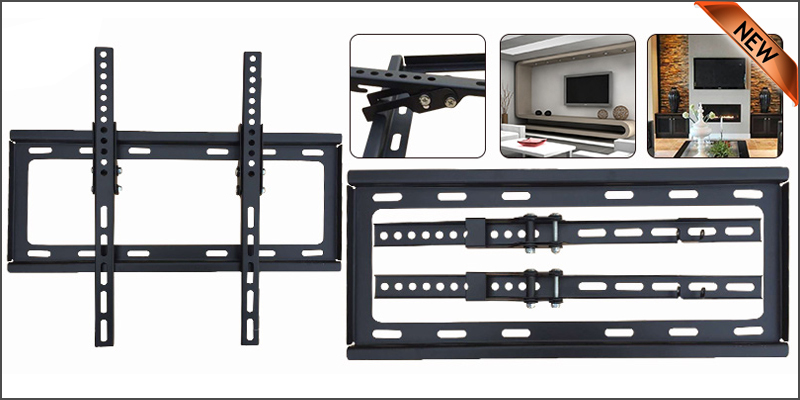 Universal hole pattern: Random hole pattern and side to side adjustment allow mount to fit nearly all flat panel TVs. Performance strong: Solid heavy-gauge steel construction & durable power coated finish ensure strong performance of all the Accent TV mounts. Super low profile: Only 25mm to the wall. Safety screw ensures the TV is safely connected to the wall mounting plate, so you don’t have to worry about accidentally knocking off the TV from the wall. Fits 8”, 16” or 24” studs. Continuous Tilt Feature for Better Viewing Angle and Reduced Glare. Low-profile design ensures TV is close to the wall for a sleek finish. Open plate design assures easy access to back of the TV and cables. Supported VESA Sizes: 200x200mm, 300x300mm, 400x200 &400x400mm.